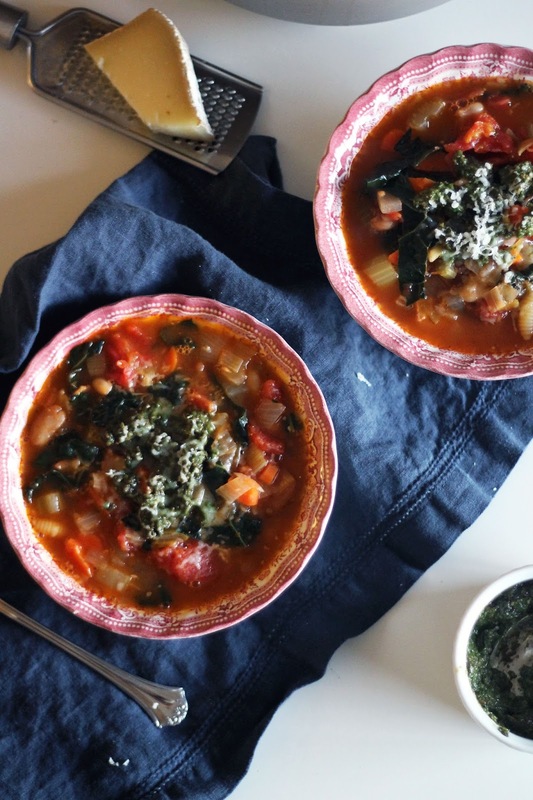 I've made a lot of soup over the years, documented here, here, and here, but this minestrone with pesto is quickly becoming a new favorite. For being a broth base the soup is surprisingly hearty, but it still feels light. 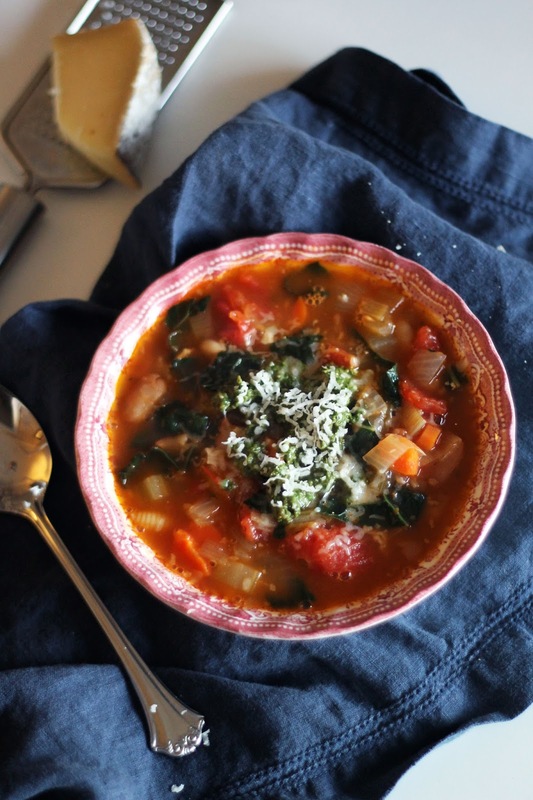 Plus, the pesto adds a freshness you rarely get in soups. I love that it is fairly quick to throw together so I can whip it up on a weeknight. Plus, I am able to enjoy the leftovers the remainder of the week. 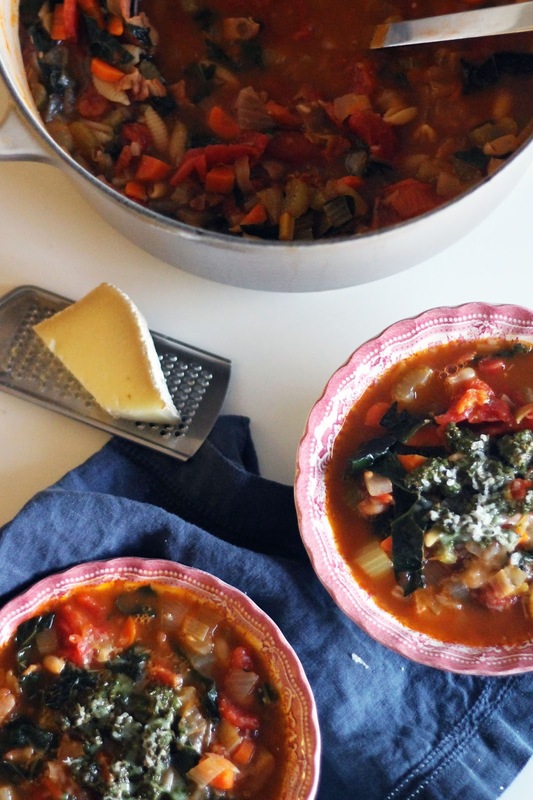 Are there any soups you turn to during the week? Heat a large dutch oven or stock pot over medium heat. Add bacon and cook until edges begin to brown. Depending on the amount of fat the bacon gives off you may need to add additional oil. If using, add olive oil, then add onion, leek, carrots, and celery. Saute vegetables until tender, this should take about 10 minutes. Add garlic and saute until soft. Stir in salt, crushed red pepper flakes, oregano, thyme, and cannellini beans. Add whole tomatoes, breaking them up as you go. Add water and bring mixture to a boil. Once boiling, reduce to a simmer and cook for 15 minutes with the lid on until tomatoes have softened. Add pasta and kale and cook for 10 minutes until pasta is al dente and kale as softened. 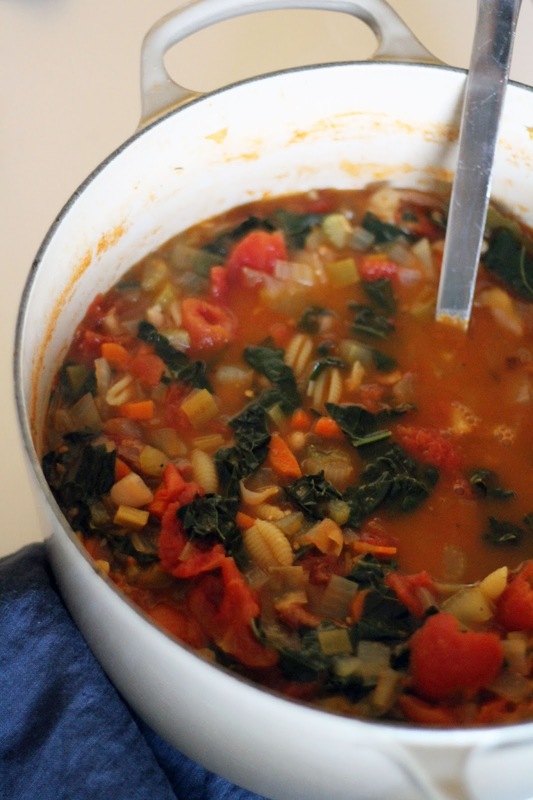 This soup should be pretty hearty, but add more water if it seems too thick. 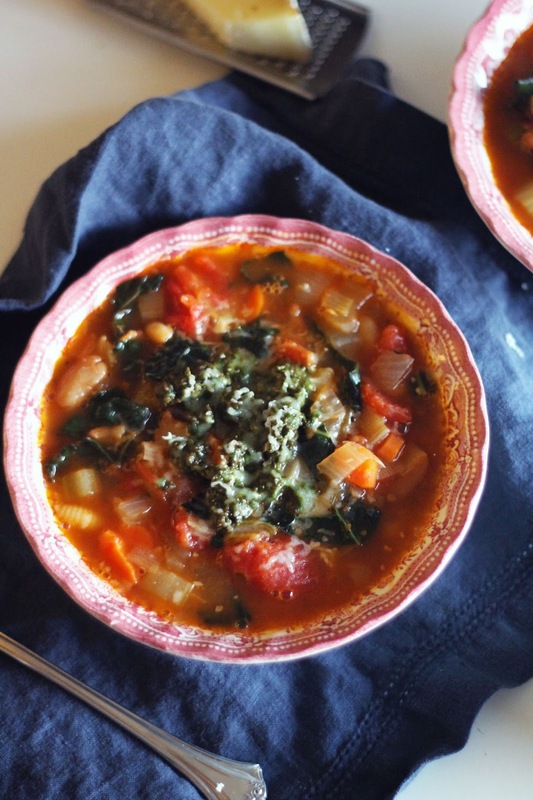 Top each serving of soup with a drizzle of pesto and cheese.